When Sophie Jouan left Singapore in June 2017 to return to Paris after a 20 year stint abroad she had a lot of adjusting to do. 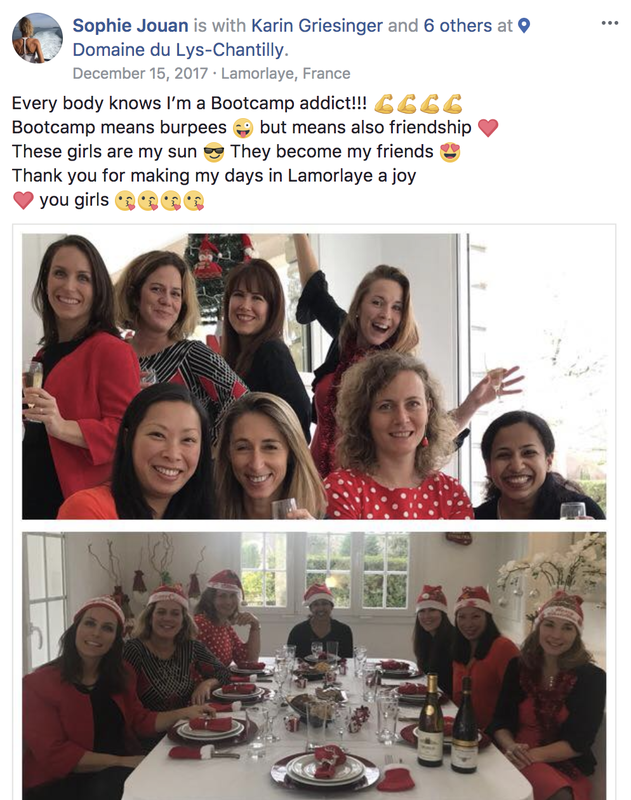 “I was so sad to leave my great life in Singapore, I cried when my husband told me about his new job in France and I begged for weeks for us to stay because I didn’t want to leave my great bootcamp life and my SHEFIT friends”. Just by looking at Sophie you can see she's right into her fitness and she wondered where she'd find something that would fulfill her as much. "Our house is in a provincial area 50km away from Paris and it gets really cold and there’s no way you could train outside the way we did in Singapore". After looking at the local fitness scene she couldn’t find anything she liked as much as UFIT so turned her basement into a gym and started training herself. 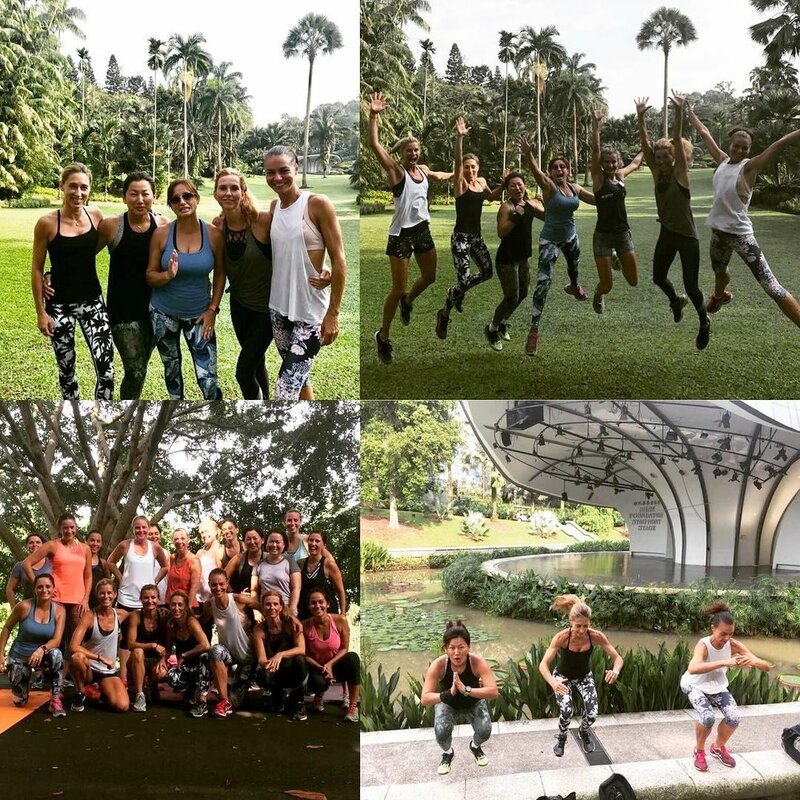 Six months before she knew she was leaving Singapore, she did a UFIT Education Bootcamps Coaching course which gave her ACE Accreditation and all she needed to know about session programming, great form, and effective exercises that target all parts of the body. This PhD graduate in political science who had been a trailing spouse and full-time mum was now pursuing the career that she really loved. While she didn’t know it then, that was going to set her up for her fabulous new business back home and the great new life she didn't think was possible when she left Singapore. 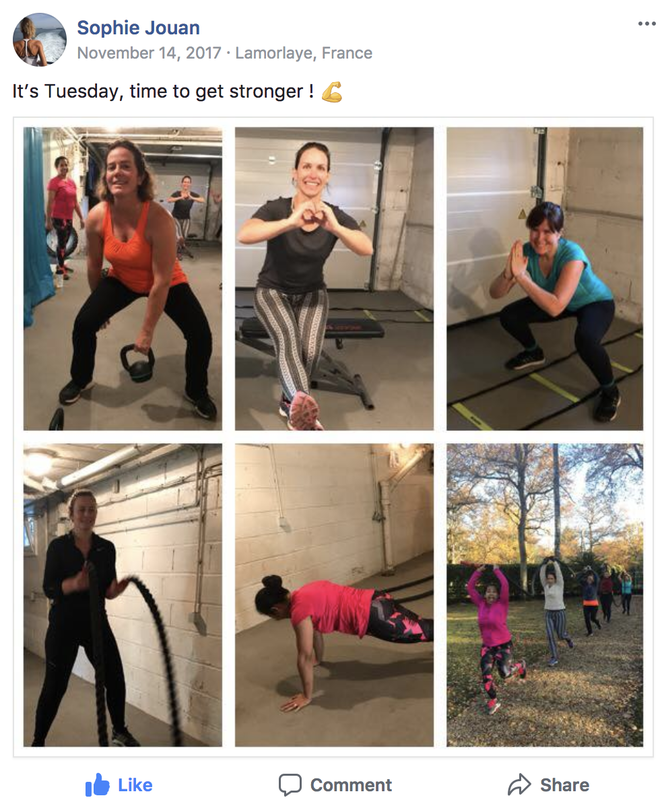 "I created my own bootcamp sessions based on what I'd learnt from SHEFIT and the UFIT course", and after inviting a neighbour to join her she now has 17 clients just four months later. "To be honest, it's changed my life, I’m not depressed anymore! Funnily enough I don’t have a single French client! All the ladies are from the UK, US, Germany, India, Italiy and Brazil.... and they love my English!!! I try to put same energy and creativity as the UFIT team! "It's a bit different to UFIT as the classes are smaller and have been indoors the last three months, and it's really challenging to create 3 different classes every week but I love it! The UFIT Bootcamp Coaching course gave me knowledge, confidence and motivation to open my own club! Like UFIT, we are not only Bootcamp partners, we are friends. We enjoy training and drinking! I’m proud to have built a nice group". 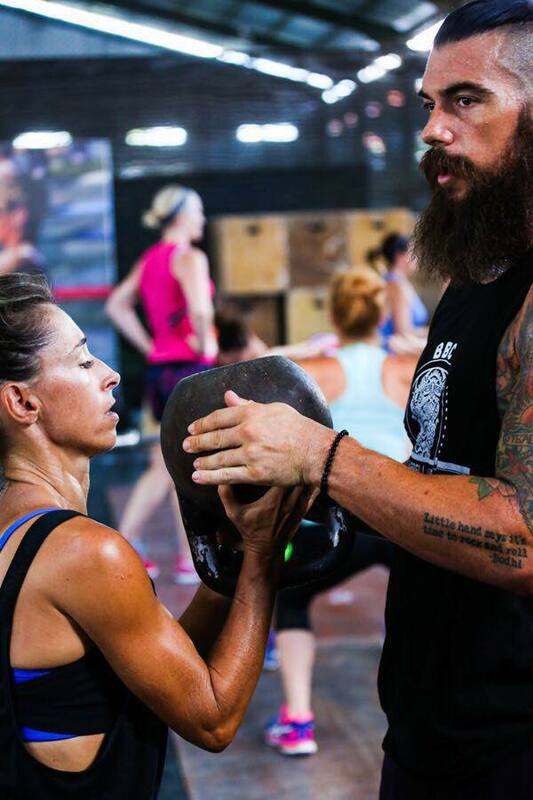 "I do the classes with my clients to push them. So I need to be on fire every day!!! And it’s challenging. I train with my clients 3 times a week and 3 times on my own. I really deserve a day off! But I really love it and am so much happier now". Many of us will remember the ultra fit and fabulous Sophie with her charming French accent and great laugh was a frequent UFIT Bootcamper who trained with our SheFit community in the Botanic Gardens, Sentosa Cove and the Beach six times per week, and also did Spartan races and the Bali Chickfitreat with her UFIT friends. If you've ever in the Chantilly region of France and need a friendly dose of UFIT whilst you're there - now you know that Bootcamps@Lelys is the place to go! If you're a well-qualified, experienced fitness coach living UFIT's values and would like to set up a UFIT Bootcamps franchise overseas with us, send us an email to find out more.